The Western New York Land Conservancy (WNYLC) invites designers, architects, landscape architects, urban planners, and artists to submit visionary concepts to a juried competition laying the groundwork to transform the abandoned, 1.5-mile elevated DL&W rail corridor connecting Buffalo’s downtown with its waterfront through three distinct and historic neighborhoods. The new nature trail and greenway will be an inspiring community gathering place alive with the history and voice of the surrounding neighborhoods. 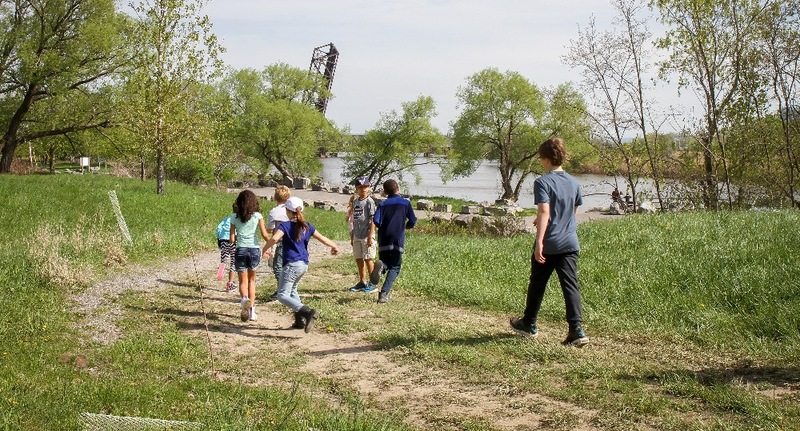 More than just a trail, the reimagined rail corridor will be a vibrant, safe, and welcoming space for people of all ages, abilities, and backgrounds to connect with each other, with nature, and with the waterfront, throughout the year. The nature trail and greenway will be the focal point of a revitalized community and a restored ecosystem. Image credit: Abby Songin / WNYLC.